Yay another week :) Today is with #mummymonday linky. Rules are below.. So finally I am back after my little break, thank you everyone who has shown support and still stuck by Mummy Bloggers in this time. Today I return with #mummymonday linky. Rules are below..
Q1: A bit about yourself and children? 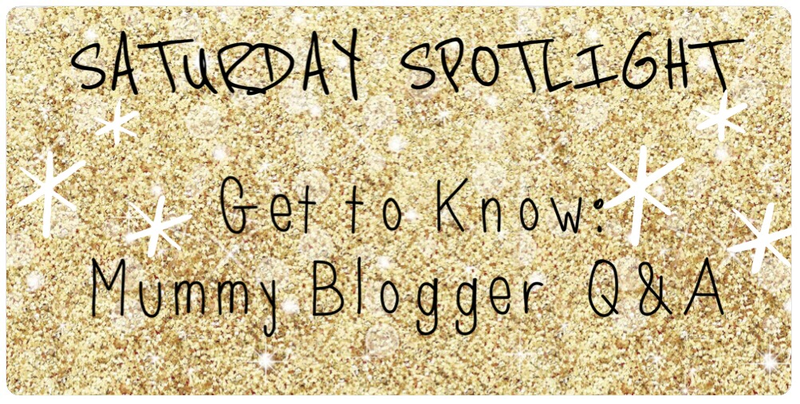 Q2: A bit about your blog? My Blog is called Blogger Mumma and it's a parent and lifestyle blog with a hint of beauty thrown in. Q3: When and why did you start blogging? I started blogging at the end of 2013 and it was mainly due to when I was pregnant I wanted something to take away the boredom. Both pregnancies I struggled to find somewhere to go for all my pregnancy and baby info, I would buy the mother and baby magazines out there and find that half of the things they were talking about weren't relevant to me. So I had that extra encouragement to start my blog and so Blogger Mumma was born. Q4: What do you like writing about? Maybe your top 5 favourite things to write about? I love to write about make up ( however I don't write enough posts on it!) , anything baby related, Lifestyle and reviews. I love to read honest reviews, not ones the company fake and put up to get you to buy it, but from real mums who have used the product and give honest feedback. Q5: Where do you get your inspiration for posts from? My sons are my main inspirations. Also general day to day life has inspired me, weather it be a post or an Instagram picture. Q6: What was your first blog post about? Rainy Day Activities was my first blog post. I talked about Alfie's favourite actives to do for those wet and wintery days. Q7: What do you find toughest about blogging? I find that with two children under 4 I don't have a lot of free time and blogging can be delayed for hours or sometimes even days. Q8: What do you look for in someone else's blog? I like to read fun blogs, blogs full of pictures, reviews, and just a blog that is easy to read. Q9: What advice would you give to your fellow bloggers? Blog for yourself and don't let anyone grind you down. Forget about those view counts, turn them off! I found I was constantly looking at my blog and focusing on that tiny box telling me how many people have taken a look at my blog when I should of been focusing on writing for myself and not to get the most views. Q10: Recommend three other blogs you're currently loving? I really love this blog and that's not because I'm on it but because Gemma was my first blogging friend and she is now my best friend. Q11: What is your favourite thing about blogging? My favourite thing has been meeting some amazing new people, who can relate to me and who I can call my friends. Q12: Where can we find you? I am Karen, a travel junky. I spend hours and hours searching the web for perfect holiday accommodation and tips for days out, hence the blog. I work 3.5 days a week (ish) in a stressful job, sit on a few boards as Trustee/Non Exec Director, look after my 3 girls under 4 and try and find time to be a wife to Matthew my gorgeous Hubby. Lily our eldest is 4 and her identical twin sisters Isobel and Eve turn 3 in a few weeks. There is 13 months between them and its been a roller coaster. Mini Travellers is designed for parents of children of all ages looking for ideas for holiday and days trip ideas. We would love to hear from you with your reviews, ideas, travel tips and anything else for that matter. After we came back from holiday in June and I wanted to rave about the trip. We had found it on another blog page. Travel, Day Trips and articles about both. Own holidays and trips and other peoples trips. Our holiday in June to Lefkada and what was good/bad about it. Finding the time and knowing who you can and can't approach. Some bloggers don't want to be featured, others love it. I don't really understand the rules yet. I'm Rachel married to Rob (Mr M) and have our little boy Baby M. Both Mr M & I work full time so our family time is precious, we try to make the most of our time together. Mr M & I met 6 years ago and married 3 years later. We had our little boy in Dec 2013. Baby M is such a curious little boy and determined. When he sets his mind to something he doesn't give up. He loves exploring. He has recently started nursery and I am hoping this will help develop his social skills. My blog is about our adventures as a family. It started as a record of my pregnancy and my experiences but now baby is here it's developed. As he's got older it's more about our life experiences as a family and our adventures. I started blogging Nov 2013 in the last month of my pregnany. I had been keeping a written record of my pregnancy and a photo journal so I thought I'd combine the 2 online via a blog. Day to day life. What we are experiencing at that time.